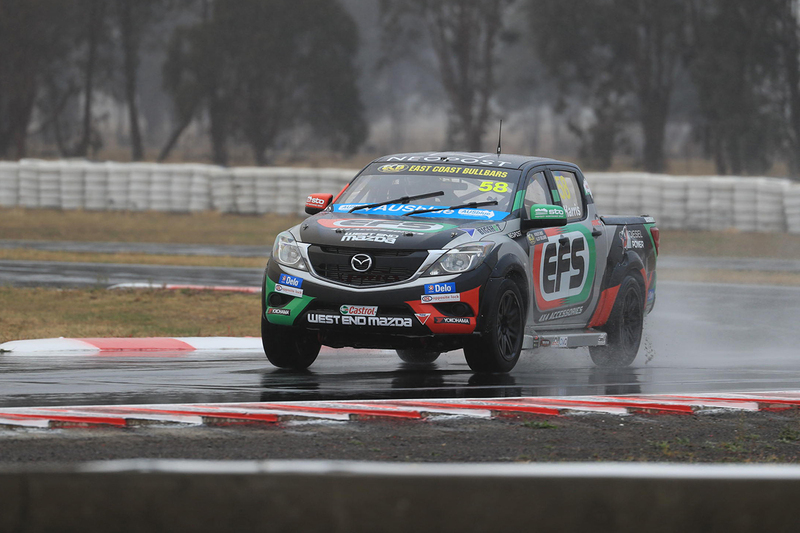 Rain arrived at Winton on Friday morning and had set in by the time SuperUtes headed out for the 20-minute Practice 1. Series leader Craig Woods finished the session 4.1309 seconds clear of Harris, but his 1:49.9424s was scratched as he had gone off at Turn 5 and rejoined at Turn 9. 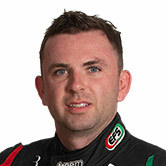 After the timesheet was corrected, Harris became the quickest driver with a 1:54.0735s in his EFS 4x4 Mazda. Harris was ultimately 1.1312s clear of SP Tools Holden driver Alexander, the pair having traded top spot multiple times with Harris eventually winning the battle. Just two tenths covered Alexander, Aaron Cameron and Craig Dontas in second to fourth, with Woods ultimately finishing fifth. Tomas Gasperak led the next group of cars from sixth in his AC Delco Holden, the 16-year-old shading the Toyotas of Matthew MacKelden and Ben Walsh. “It was the first time for pretty much all of us driving SuperUtes in the wet,” Walsh said. In his newly-backed Bowser Bean Cafe Mitsubishi Triton, Dakar Rally winner Toby Price was ninth. Steve Wilson rounded out the top 10 in the first outing for the Isuzu D-MAX, after missing the series opener due to engine homologation delays. The second, 20-minute practice session will take place at 1:00pm local time, followed by ARMOR ALL Qualifying on Saturday.